In 2017, two Cal Poly seniors used their connections to create an event to give back to the San Luis Obispo community. Their successful senior project has now turned into an annual charity event helping the local non-profit, Jack’s Helping Hand. 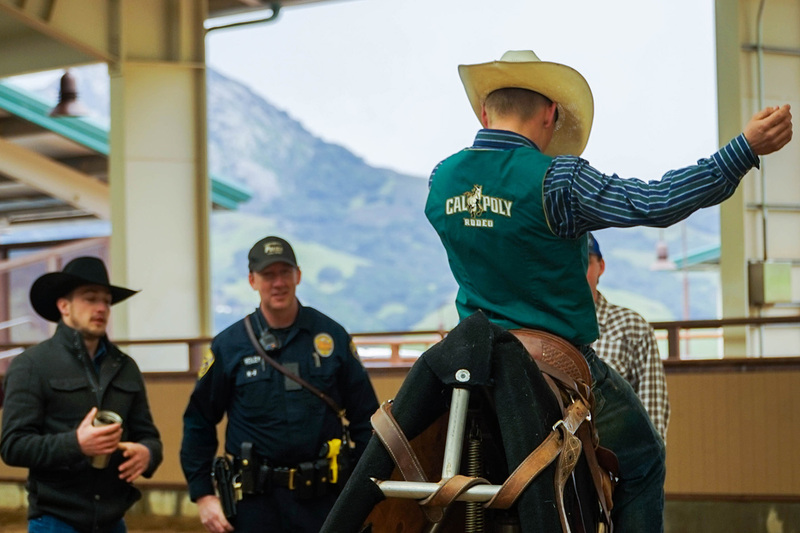 The Cal Poly Rodeo Team, in collaboration with the University Police Department (UPD), hosted their Spring Showdeo on Feb. 10. All proceeds raised from the event went directly to Jack’s Helping Hand, a non-profit supporting families with children battling cancer and other disabilities. Rodeo team head coach Ben Londo said the event is a great opportunity for the students and kids to connect with one another, as well as to provide education about the rodeo. 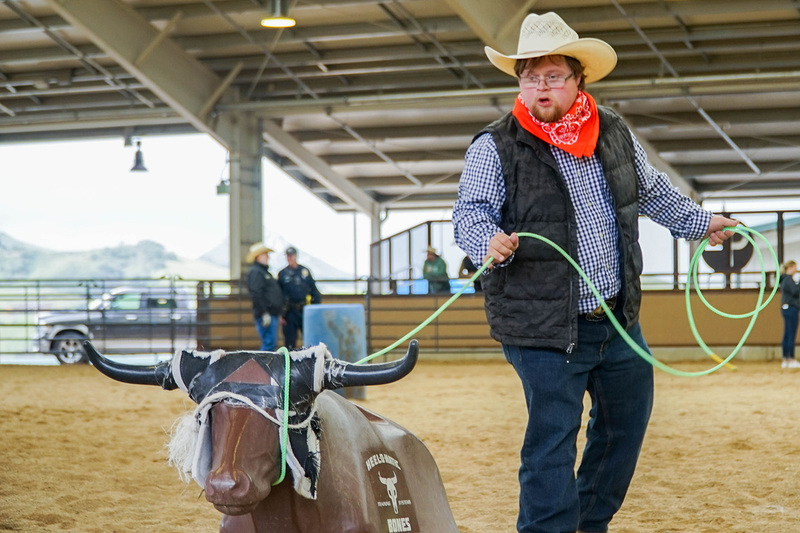 “We’ve incorporated a lot of events like this, which are great opportunities for the Cal Poly Rodeo students to get involved in the community, to build some community service hours, and to get a good base on helping other people,” Londo said. Students taught the children different aspects of the rodeo, such as barrel racing, bull riding and team roping. The kids had the opportunity to interact with different livestock and get a taste of what it would be like to be involved in an actual rodeo. Bioresource and agricultural engineering sophomore Shasta Banchio is part of the sponsorship committee on the rodeo team. She spent the afternoon at the goat-tying station where she educated the kids on how to interact with the animals. The event also featured live music, a barbecue lunch, as well as special demonstrations from the rodeo team and UPD K-9 unit. Agricultural communications senior Dillon Machado has been involved with the Cal Poly Rodeo Team for the past two years. He said he identifies with the kids’ struggles as he has endured his own disabilities. All of the children present at the event are welcomed back in the spring for the Poly Royal Rodeo. The Cal Poly Rodeo Team is set to host the 79th annual showcase at Spanos Stadium on April 13.